Barber shops can be the most boring places to sit and wait. The reading is usually confined to the red-top tabloids, television magazines and the sports supplements, and the background sounds are usually either cheap pop or shallow talk radio shows. However, when I went for a haircut last Friday in the ‘Hair Stories’ shop, next door to Julia Apartments and the Taverna Garden in Platanes, I was delightfully surprised. The books left behind by previous customers included original Greek novels by writers such as Nikos Kazantzakis, two or three Greek versions of Victoria Hislop’s The Island (Το Νησι), and Greek translations of Mikhail Bulgakov and Paulo Coelho. The business cards on display included ones for the icon writer Alexandra Kaouki-Melidoni, who has a studio near the Fortezza in Rethymnon. Anyone who appreciates the work of one of the great iconographers in Greece had to have good taste in other areas of the cultural life of Crete. In the background, I thought I heard the music of Ross Daly, although the tracks were not familiar. As I waited, I asked what I was listening to and to have the sound turned up so I could listen with greater pleasure. I was introduced to the music of Chainides (Χαΐνηδες), a folk music group based in Crete whose music is inspired by the rich legacy of traditional Cretan music and whose lyrics often draw on words in the Cretan dialect of Greek. The name Chainides comes from the word χαΐνης (chainis), meaning a fugitive rebel. The group was formed in March 1990 by five friends – Dimitris Apostolakis, Dimitris Zacharioudakis, Giorgos Laodikis, Miltos Pashalidis and Kallia Spyridaki. At the time, most of them were students at the University of Crete, and their first live performance was in the university canteen. Their first recording came a year later with their debut album Χαΐνηδες (Chainides) in 1991. They were soon joined by two more members and they released three more albums before breaking up for a short time in 1997. A year later, Dimitris Apostolakis and Dimitris Zaharioudakis brought the group back together and they were joined by four new members – Maria Koti, Alexis Nonis, Periklis Tsoukalas and Antonis Skamnakis. Other members have included Mihalis Nikopoulos and Dimitris Mprentas. Over the years, Chainides have collaborated in studios and on stage with Ross Daly and several other well-known musicians and singers. They have performed throughout Greece and abroad, including Luxembourg, Cyprus and America, and they have recorded seven studio albums. In their live performances, Chainides blend their own compositions and songs with new arrangements of themes and songs from traditions such as those of Turkey, Afghanistan and Bulgaria. Chainides show that Crete’s musical tradition is alive and not a thing of a bygone age. Their success has paved the way for other young artists to embrace and enrich this tradition. 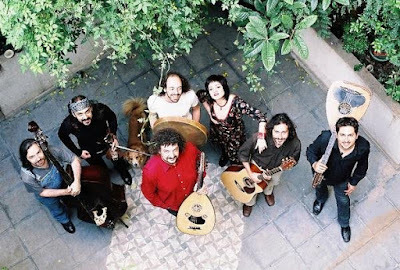 Their instruments include the Cretan lyre acoustic guitar, traditional Cretan percussion instruments, mandolin, bouzouki, flute, double bass and electric bass. Some of their music is discussed here: Love Song for Greece. For more, see: this site. The Archbishop of Canterbury is proposing to restructure the Anglican Communion, turning the third largest global family of churches into a much looser federation or grouping. The Archbishop of Armagh, Dr Richard Clarke, and 37 other Anglican primates from around the world have been invited to Canterbury next January to discuss Archbishop Justin Welby’s proposals. In the new scheme of things, Anglican churches, including the Church of Ireland and the Church of England, could be linked to Canterbury without necessarily being linked to each other. With 80 million members, Anglicans form the third largest Christian body, after the Roman Catholic and Orthodox churches. Archbishop Welby’s predecessor, Rowan Williams, became disheartened in his fraught efforts to hold Anglicans together, and they collapsed when they were rejected by the dioceses in his own Church of England. Over the past two decades, it has become more and more difficult to hold Anglicanism together. The main dividing issues are sexuality and the authority of bishops and the Bible, and, to a lesser extent, the ordination of women. But there is also a power battle between churches in the northern and southern hemispheres, and a widening chasm between more liberal churches in North America and churches in Nigeria, Uganda and Kenya that actively support harsh legislation against gay people. The irony is that the churches most opposed to pluralism and diversity may have forced the creation of a new world Anglicanism characterised by greater diversity and pluralism. 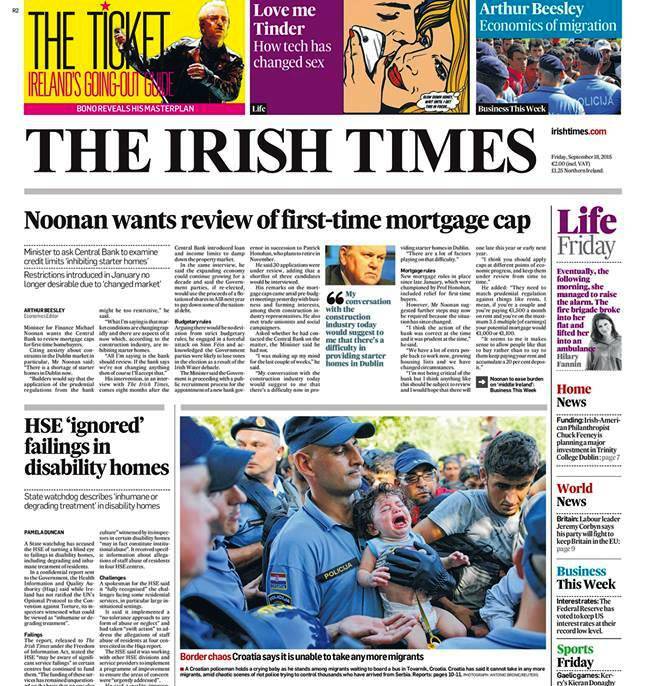 In the midst of mayhem, the Church of Ireland is caught between the two factions. While some bishops encourage change and progress, others support and encourage dissident conservative bishops and clergy who have seceded from the Episcopal Church in the US. Constitutionally, the Church of Ireland is committed to maintaining communion with the Church of England. But the challenge facing both churches is whether they can hold together. In some places that unity is little more than a figment. In many cases, the parishes that claim to be most conservative on sexual issues have all but abandoned the form and content of traditional Anglican worship and liturgy. The Archbishop’s proposals risk redefining the Anglican theology of the nature of the church, with a communion of churches being replaced by a federation of sects. Without shared discipline or doctrine, it is difficult to see how any new federation or alliance can pretend to hold together. The proposals could leave bishops and dioceses in the Church of Ireland and the Church of England free to pick and choose which churches and dioceses they cosy up to, and the Anglican churches on these islands risk becoming more fractious and divided.